New way to port and verify on Google Voice? 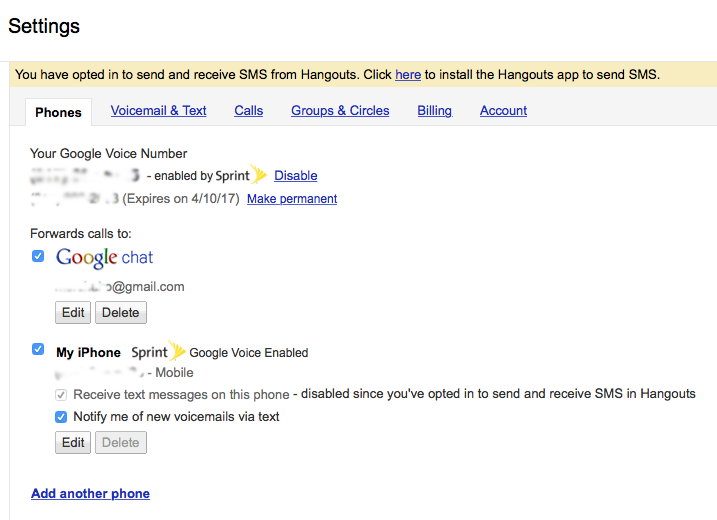 I'm trying to port my Sprint number to Google Voice (and close my Sprint account). Several tutorials say to go to the Change / Port setting menu to start the process, but I can't find this area anymore. Have they removed it? Under Phones, my Sprint number is labeled You Google Voice Number, but I'm not sure if it's ported. I never paid any money to port it. How can I know? At the end of this, I want to be sure that, if I cancel my Sprint plan, I'll still have the number accessible via Google Voice. Is there any way to see BOTH who is calling AND my Google voice number?